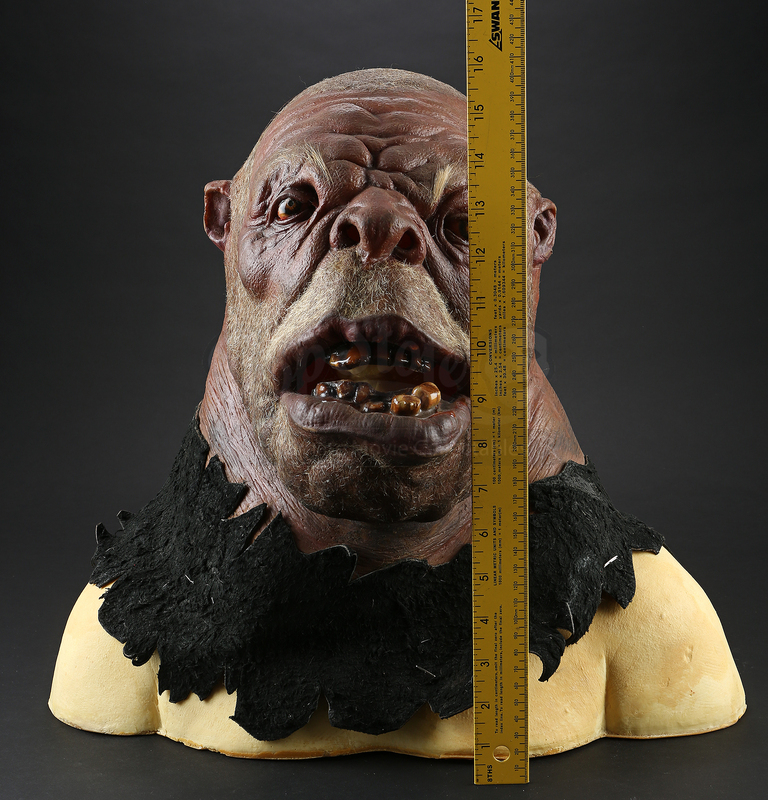 An Ogre Mask used in Andrew Adamson's 2005 take on C.S. 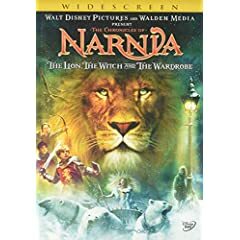 Lewis’ fantasy adventure, The Chronicles of Narnia: The Lion, the Witch and the Wardrobe. 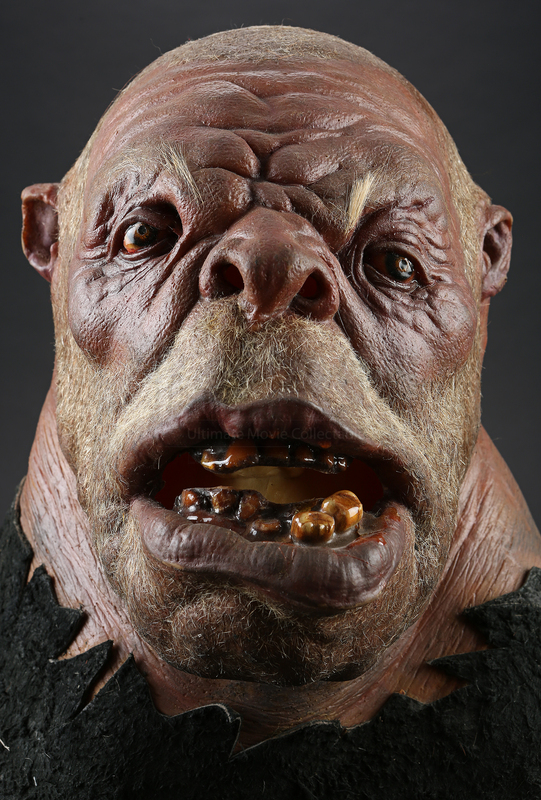 Ogre's are among the many creatures who follow Jadis, the White Witch (Tilda Swinton) and can be seen at various points throughout the film including the final battle sequence between Aslan’s (Liam Neeson) army and those loyal to the White Witch. 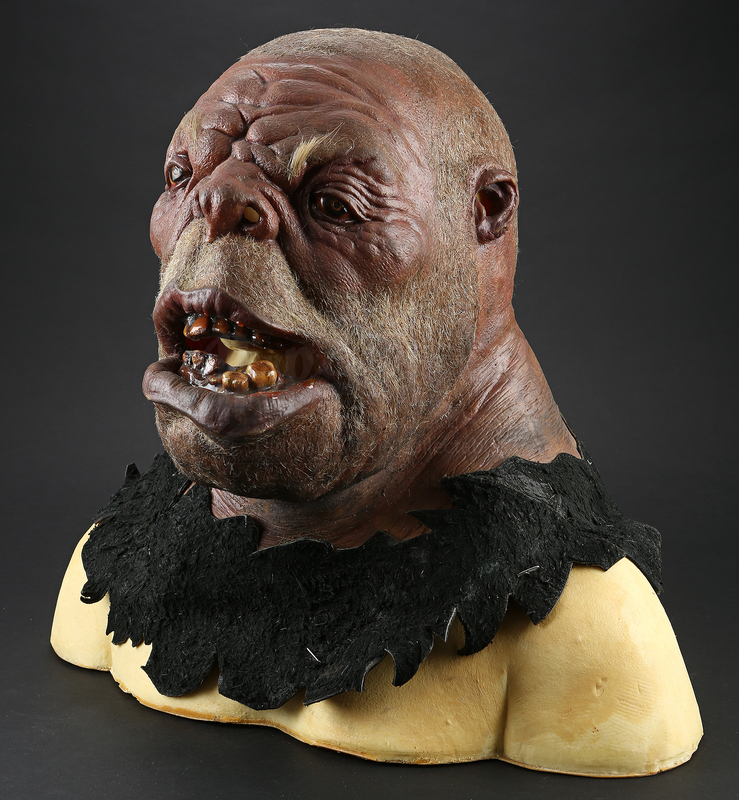 The mask is constructed of slush latex with incredible facial detailing, including tiny hairs glued on to make eyebrows and beard, along with a coarse skin and realistic blood shot eyes. 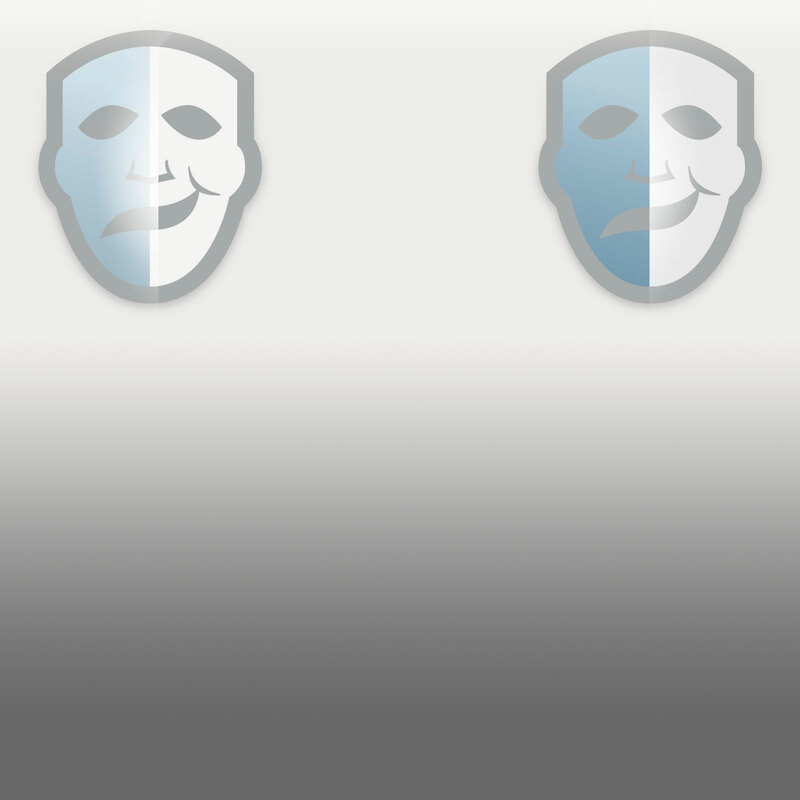 The mask also has large discolored teeth set into the inside of the mouth. 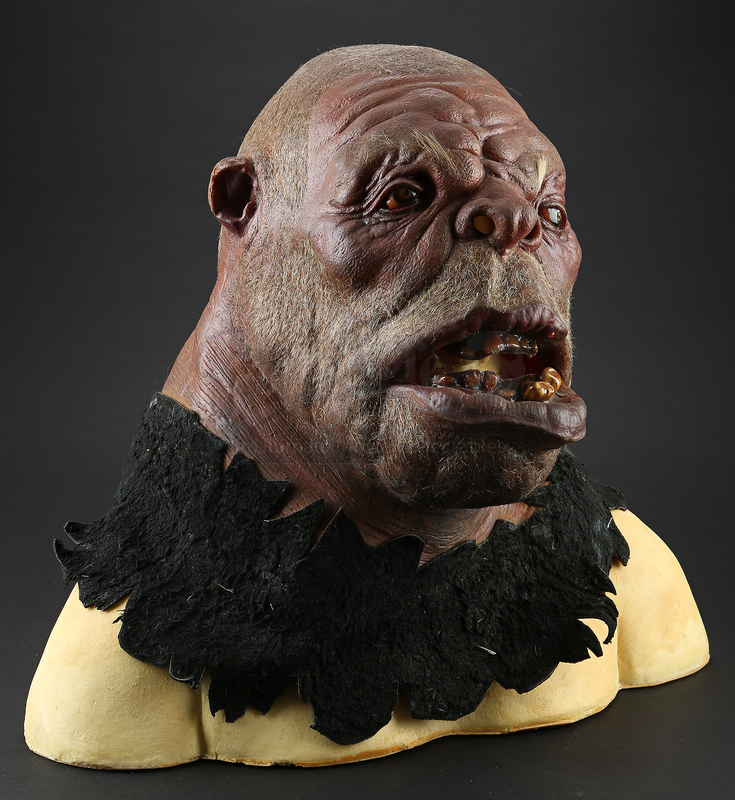 The over-the-head style mask includes a leather and suede collar material which would have blended in with the performer’s costume. This mask rests on a biscuit foam lifecast. Showing some signs of wear such as slight cracking to the paint, this mask is in overall great condition.